Interest rates have gone up and has caused borrowing costs to rise globally. The spike in U.S. debt yields along with the rising dollar has not been healthy for emerging markets with large current account deficits. 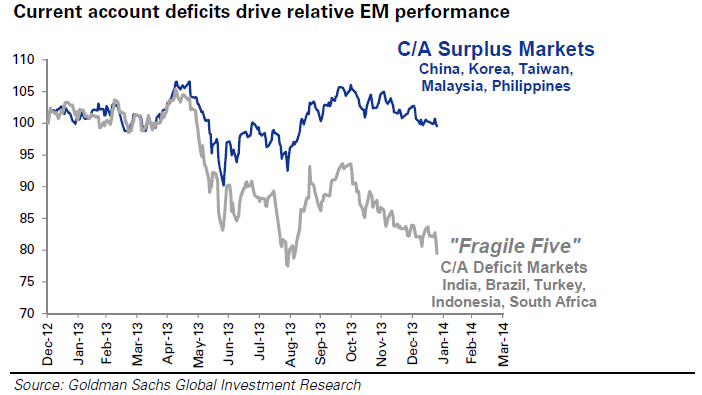 The demand for emerging market assets have lessened. 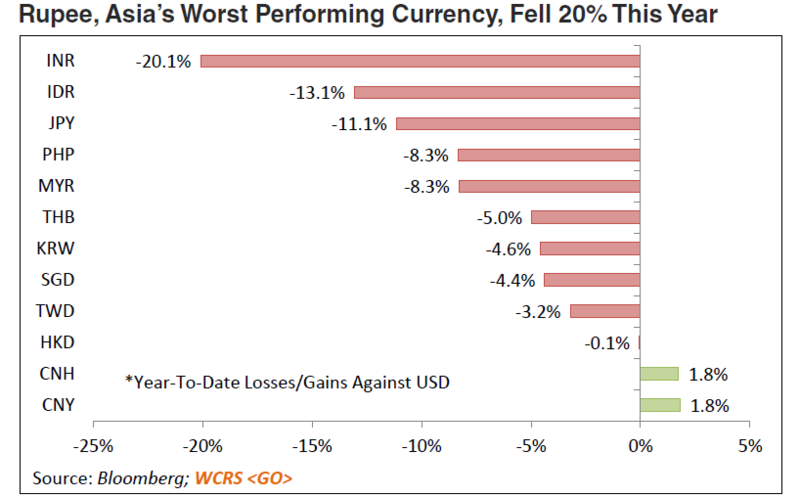 Capital leaving Emerging Markets and flowing back to Developed Markets.